There’s a new reason to go to The Porch at Schenley. No, the restaurant hasn’t reduced its prices or started serving shot pitchers. It has, however, added a new beer to its rotation. Partnering with East End Brewing Co., one of the city’s finest craft beer institutions, The Porch has recently released the exciting, unconventional and delicious Honey Heather Ale. The project represents a Pittsburgh collaboration, namely East End’s recipes meeting The Porch’s ingredients. Most of those who walk by The Porch, or even stop in for a bite to eat, don’t know that the restaurant plays host to some 200,000 honey bees in two separate hives. Each hive yields a spring and fall harvest of varying amounts of honey, most of which usually goes to use in The Porch’s food. This time, though, it went to a nobler cause — beer. In addition to serving food largely considered to be a cut above the usual fare of Oakland, The Porch has made an effort to feature as much local beer as possible. Josh Palashoff, manager of The Porch, explained that, “just about all of [The Porch’s] taps are local.” The restaurant’s prominent tap handles for Church Brew Works, Full Pint and East End back up his claim. 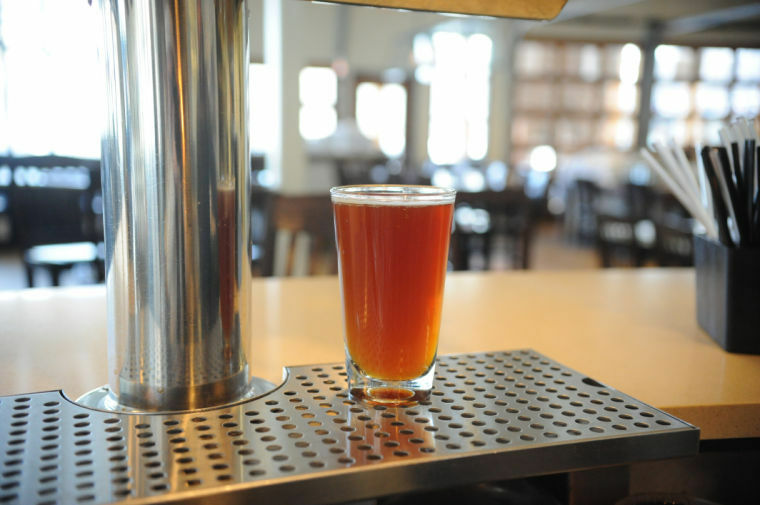 Palashoff also added that the restaurant’s bar would be doubling its number of taps to feature more local brews, which, as a rising tide raises all boats, is a very good thing for all local breweries. Even with so many quality breweries within shouting distance of The Porch, East End is consistently ahead of the curve in terms of both creativity and community outreach. The partnership between the two businesses, thus, comes as little surprise. Locality and sustainability have been two of East End’s most strongly held values since coming onto the scene. With honey bee populations plummeting across the world because of a variety of factors including widepsread use of pesticide and insecticides and poor nutrition, the opportunity to use honey from right down the street was too good to pass up. “East End hadn’t made this beer in a while because honey has become a little bit scarce lately,” Palashoff said. Brewing honey-based beers has become expensive and impractical for small craft breweries, so Honey Heather Ale could soon become a rare brew. The older incarnations of East End’s Honey Heather Ale were made with honey from Burgh Bees, a local bee-keeping operation located across the street from East End’s previous brewery site in Homewood. East End owner and CEO Scott Smith remarked that with the relative scarcity of honey, Burgh Bees’ prices have risen as the supply has decreased, making it a challenge to make Honey Heather Ale on a regular basis. But those who are able to get their hands on the rare brew partake in an unrivaled drinking experience.e “What’s more local than sitting in a place and drinking a pint of beer, knowing that the honey is made on the roof,” Smith said. If honey in the beer makes it both playfully sweet and socially relevant, the heather is what makes it interesting. Heather ales are an ancient style of beer, part of a greater category known as ancient herbed ales. Traced largely to the northern British Isles and Scandinavia, rudimentary beers brewed with everything from rosemary to yarrow were found in regions with climates not conducive to hop farming. Honey Heather Ale follows the template of a Scottish Gruit, which tastes much better than it sounds. It replaces hops with the mild, herbaceous quality of heather, which provides a light citrus note in addition to the gentlest touch of bitterness that lingers behind the honey. Smith recognizes where East End’s latest offering fits into the context of brewing history. He went on to explain the roots of the brewing style in Scotland. “The Scots have been using heather in their beer for centuries, since hops are not a native plant to Scotland. They were looking for a local, affordable way to get their hands on some ingredients to put in their brews, something that would sort of take the place of hops,” Smith said. Though the ale is dark in color, due mostly to fall honey being darker than its springtime counterpart, its body is light and refreshing and seems appropriate for a summer beer. Still, the flavor is full and round enough to satisfy all comers and is complementary to many of The Porch’s dishes, particularly the braised short ribs and butternut squash pizza. At just under five percent alcohol by volume and a taste that is both unique and fulfilling, Honey Heather Ale can — and should — be consumed in volume. As for the future, both sides seem open to continuing their partnership. So, while East End’s Honey Heather Ale may only be on tap at The Porch and its sister restaurant, Six Penn Kitchen, for a limited time, more good things appear to be on the horizon between two of Pittsburgh’s finest establishments.